Looks cool. 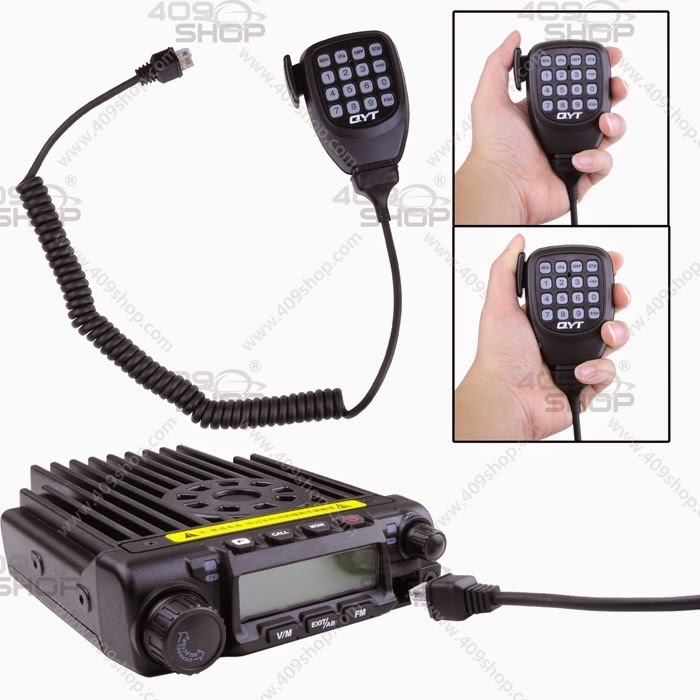 I was considering a Leixen VV-898 but I'd rather have the 40w. Of course, the software is a big deal and CHIRP hasn't heard of this radio yet. Is that a battery icon in the top right hand corner? Yes, it is. The display appears to be a generic one, with a few icons that don't make sense on a mobile. I have this radio for a while here, and will post a review within a few days. Nice catch on the battery icon. That would probably bother me. There are a few bugs in this transceiver, but the price is right and the transceiver is still very useable. The battery icon on the corner works. If you plan on making a backpack radio or use an alternative power supply, the battery icon indicates your relative voltage. The initial display can be set to indicate the voltage from your power supplied also. 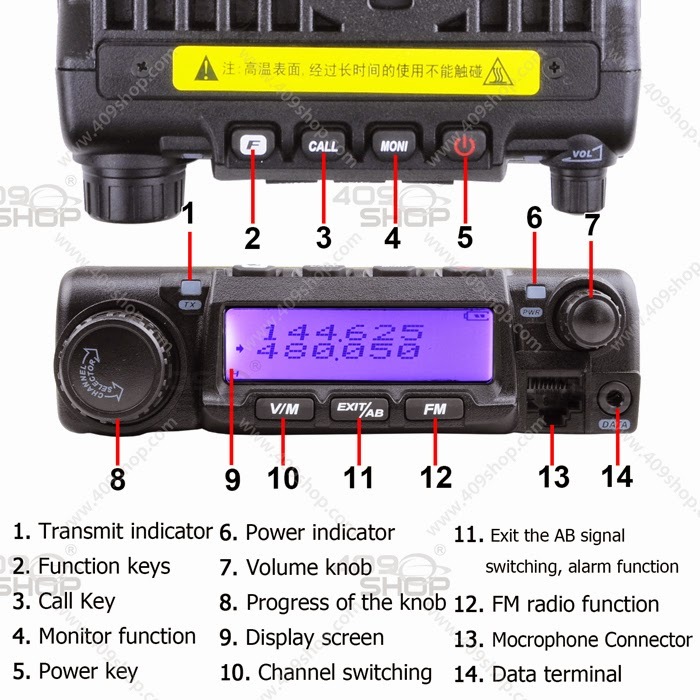 The radio is very compact and almost everything can be programmed from the microphone, without software. The only exception I know is the automatic ID character string that is sent if you enable the auto ID TX. The receive has a bug in the firmware programming. If you receive a strong signal from a VFOs scan, the scanner will lock, the screen light colour will change, and the S-meter will show signal. However, only a low hum will be heard. You have to tap the transmit key to be able to hear the signal when it has stopped on an active frequency. If the signal is a low one, it can be heard clearly and understood. If the frequencies are programmed into channels, the problem seems to not bother whether the signal is strong or weak. The transmit power is different from the indicated values. Transmissions on VHF and on high power are 50 watts. On UHF, it is only about 20 to 21 watts. The case is extremely rugged. The volume is extremely loud also. The receive bug is annoying but quite easy to work around it. The owner's manual says the radio transmits 136 to 174 megacycles, 220 to 280 megacycles and 400 to 490 megacycles. The actual ranges are 136 to 174.995, no 220 band at all and 400 to 480 megacycles. Overall, the radio is useable, but not perfect, so I kept it. Thanks for the info - always good to hear both the good and bad. Is CrossBand possible with this productos? I bought 2 generic versions of this radio under the name samcom. The one at home is connected to an omni fiberglass bass antenna on the roof with around 20m of cable. The problem is that on 156mhz its not receiving even with the squelch on 1.the local coast guard but my old 5w alinco 190J Ht connected to a mobile antenna on the shed roof does!!!! !Its a bisy channel and I love to listen in. Both units and homebase antenna are new.I havent checked the swr yet as Im waiting on a new meter. I should add that ot does receive only very strong local stations within a 5 mile radius.